Many people question how something so tiny can cost upwards of thousands (or even hundreds of thousands) of dollars. Well, there are quite a few factors that go into designing, creating, manufacturing, distributing, and selling a watch. We’ll cover the top 6 reasons why watches are so expensive. If you have additional reasons or if you disagree with our list, leave a comment below and let us know! First and foremost, the brand name will increase the cost because you’re not just purchasing a watch, you’re purchasing a Rolex or Patek Philippe watch. Imagine having two identical watches, one includes “Rolex” on the dial and the other does not. The branded watch will cost more than the unbranded watch because you’re buying a symbol of luxury not just a device to tell the time. No matter how you slice it, the cost of making a movement is expensive, and purchasing a movement from an outside source can be even more expensive. A basic movement can cost upwards of 250 dollars. Just imagine how expensive it can get for a unique and intricate movement! Even after purchasing a movement, a company may spend time and resources modifying or decorating the movement. In contrast, a company could make their own in-house movements. Although this option is oftentimes less expensive, in-house movements still require an extensive amount of resources and manpower. Then when you consider movements that were created and developed specifically for a model, the cost continues to rise. New movements can take years to perfect. The process begins on the computer with an engineer developing the plan, layout, and design. If a brand is trying to create a first-ever movement instead of a standard movement, this process can take a while. After the design is finalized, the new movement needs to be created. The brand-new parts and pieces are fitted together and tested to see if the watch is accurate and meets the standards of the company. A nice watch requires hand-finishing rather than machine-finishing. This means hours of highly-skilled professionals adding designs or polishing an individual watch. When a watch is produced in the millions, the cost to design and manufacture are distributed evenly across all of the watches, increasing the cost of the watch by only pennies. However, when there’s one thousand or fewer watches produced, the manufacture costs aren’t spread as thin. This means that you’ll notice additional costs in limited edition watches more so than in mass produced watches. Watches are like cars: As soon as you drive it off the lot, the value instantly depreciates. However, some watches and watch brands are able to retain their value more than others. Which Luxury Watch Brands Retain Their Value? There are quite a few steps and people involved in the process of research and development, designing, creating, marketing, distributing, and selling a watch. 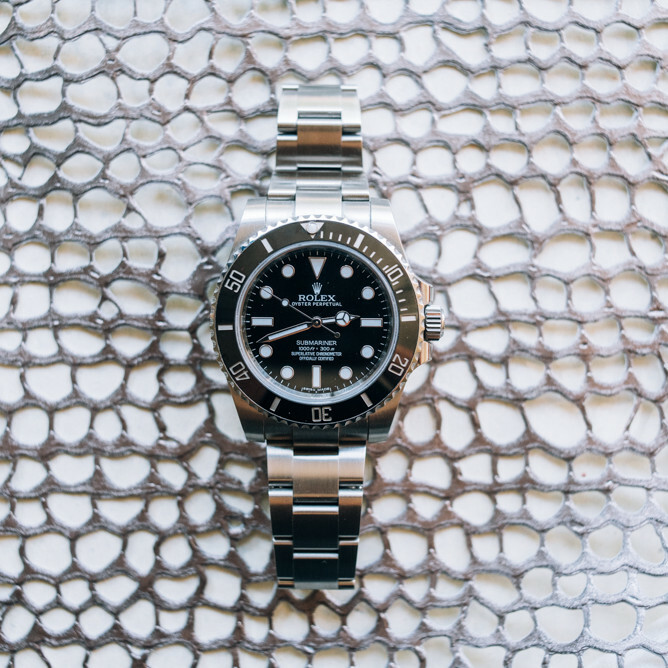 When you buy a watch, you’re not just paying for the piece of metal on your wrist. You’re paying for the entire process it took to get your watch from an idea on a computer screen to the dealer’s floor. Ever since the Quartz Crisis, people don’t need to buy a mechanical watch. If a person wanted a device that’s primary purpose was to tell the time, then they’d buy a mass-produced quartz watch. A quartz watch is more accurate and it doesn’t require maintenance. Because of the Quartz Crisis, brands such as Rolex or Patek Philippe increased their watch prices and used marketing techniques to convince the world that their watches are of the utmost quality. This tactic worked and still today Rolex and Patek Philippe are two of the top luxury watch companies. Watch collectors want mechanical watches for the heritage, the history, and the luxury. Not everyone can pay for a mechanical watch; therefore, those that own high-end, luxury watches show their affluence. A watch’s worth is often tied into its price tag. If a watch is significantly less expensive than a watch of the same quality, a consumer will assume that it’s cheaply made or not as luxurious. Consumers pay for what they believe they’re receiving, and with mechanical watches, they’re oftentimes paying for the symbol of luxury. Brands will use this knowledge and price their watches in the sector that they want to be considered. So now you know what makes a watch so expensive (or at least some of the reasons). Did we miss a reason? Let us know in the comments below!